Live Performance Deel 2: Inleiding. Angel Vergara, Ben Benaouisse, Benjamin Verdonck, Michiel Alberts, Loek Grootjans, Bart Stolle, Honore d'O. Curated by Philippe Van Cauteren en Ben Benaouisse, SMAK, Gent, 2015. 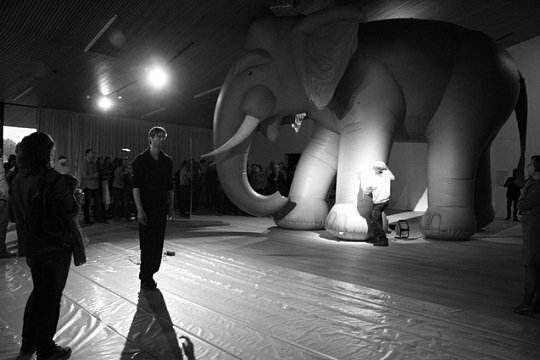 Deel 2: de Inleiding, Michiel Alberts Live-Performance ATO nr11. SMAK, Gent, 2016. In front of Sol Lewitt's Wall Drawing Nr.36, I placed ATO Nr11. During an one and a half hour movement I left behind a black line, a trace over 35 meters. The black line refers back to the former Deel 1: de Inleiding. 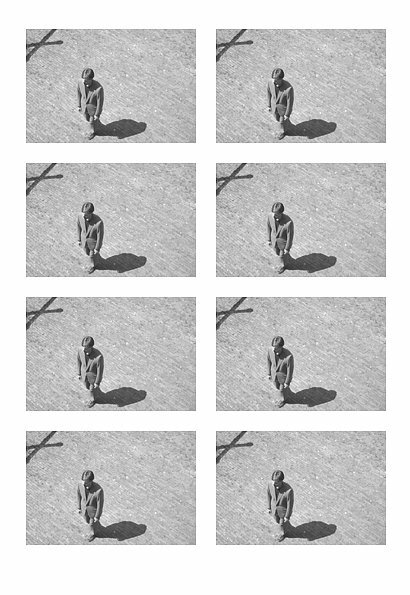 At the same time I intended to oppose the outcome of Concept or Conceptual Art and place the physical action and the impact of a process central. In mei 2013 vroeg Phillippe van Cauteren (S.M.A.K.) 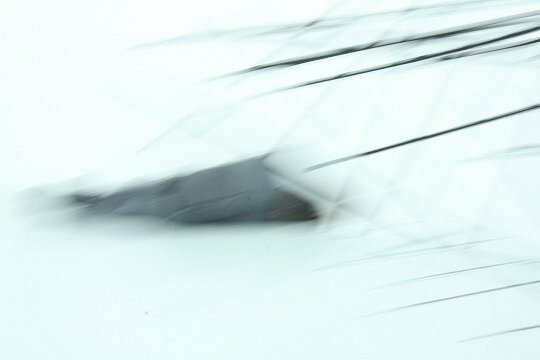 zeven kunstenaars, die in hun werk de grens tussen beeldende kunst en theater opzoeken, een live performance op te voeren in het Cultureel Centrum van Dendermonde. “Deel 1 : Inleiding” was een hommage aan Mohamed Bouazizi, de Tunesische straathandelaar die zichzelf, uit protest, in brand stak en hierdoor de Jasmijnrevolutie en talrijke manfestaties in de Arabische wereld ontketende. “Deel 2 : Inleiding” brengt dezelfde zeven kunstenaars opnieuw samen voor een avond met live performances. ‘Wall Drawing Nr.36 / Intersecting Bands of four Colors (Black – Blue – Red – Yellow) from four Directions – 90 cm wide (symmetrically)’ (1970), de muurtekening van Sol LeWitt, vormt de achtergrond van het gebeuren. De principes blijven dezelfde : een open voorstel, eenvoudig, een ode aan het moment, aan de kleine gebeurtenis, de gelijktijdigheid, de interactie met het publiek. Curatoren: Philippe Van Cauteren en Ben Benaouisse. 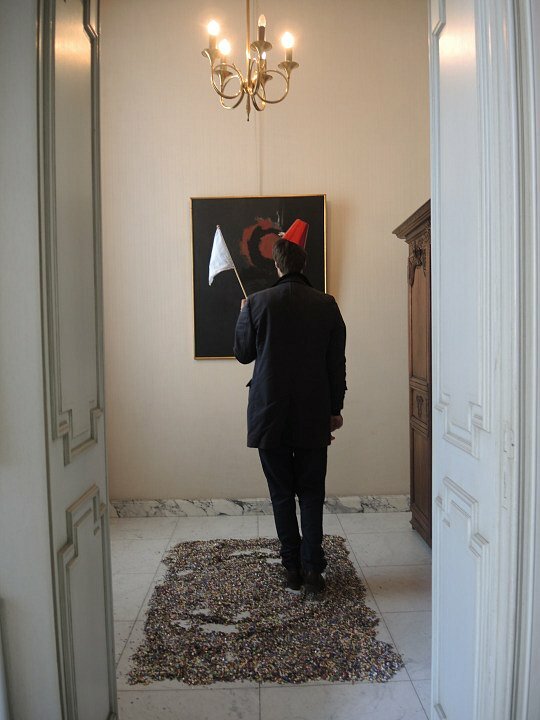 HOORAY HOORAY, Live Performance Michiel Alberts at the official residence of the Governor of the province East Flanders, Gent, duration 3H, 2015. For the 25th celebration of the HISK Higher Institute of Fine Arts, a book presentation of the Hisk-book The Institute, I performed a three hours slow turning movement on confetti, with a hat, a flag and a whistle . 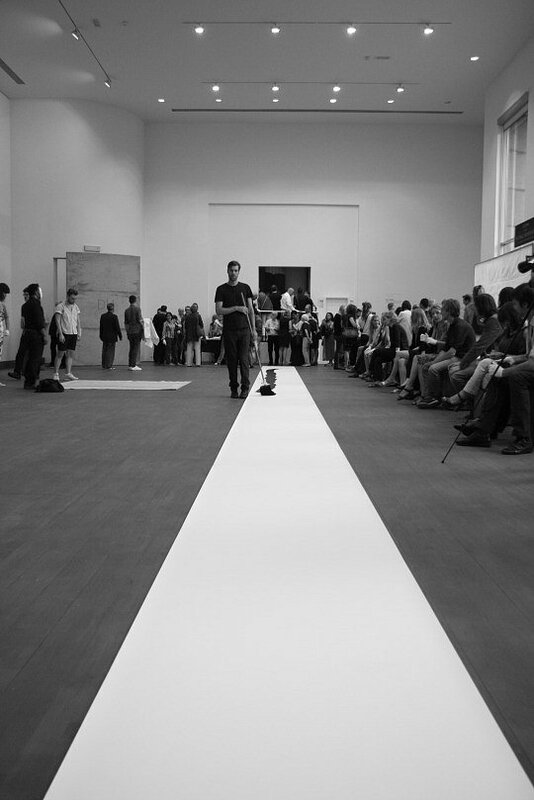 Salutations, Live-Performance at the opening of the solo exhibition ‘Salutations’ at Gallery Eva Steynen Deviations, duration 1H00, Antwerpen, Belgium, 2013. A salutation can be interpreted as a form of a signal in which the receiver of the salutation is being acknowledged, respected or thanked. 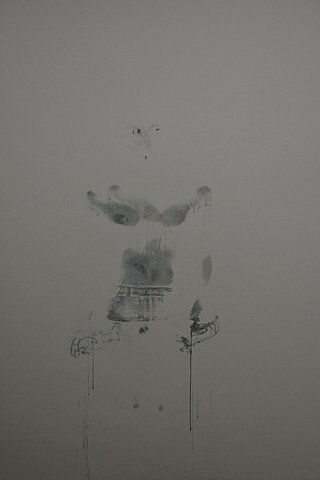 With a one hour movement I created an imprint on a wall, a form of Salute. Live Performance Deel 1: Inleiding. Angel Vergara, Ben Benaouisse, Benjamin Verdonck, Michiel Alberts, Loek Grootjans, Bart Stolle, Honore d'O. 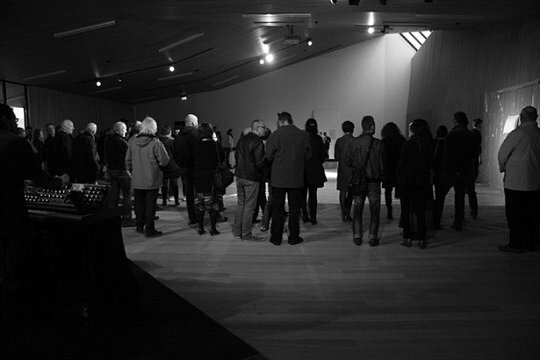 Curated by Philippe Van Cauteren en Ben Benaouisse, CC Dendermonde, 2013. In mei 2013 vroeg Phillippe van Cauteren (S.M.A.K.) 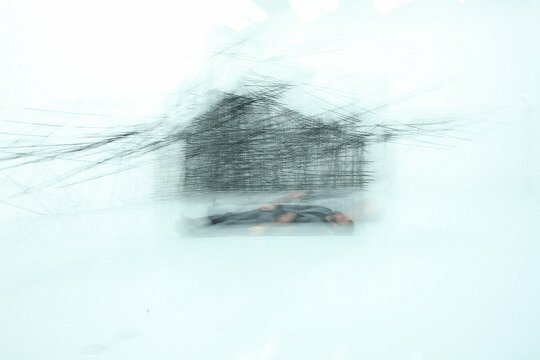 zeven kunstenaars, die in hun werk de grens tussen beeldende kunst en theater opzoeken, een live performance op te voeren in het Cultureel Centrum van Dendermonde. 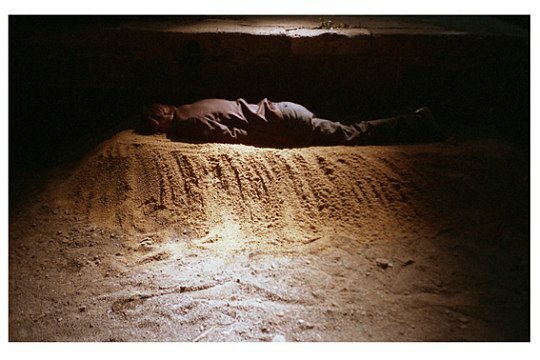 “Deel 1 : Inleiding” was een hommage aan Mohamed Bouazizi, de Tunesische straathandelaar die zichzelf, uit protest, in brand stak en hierdoor de Jasmijnrevolutie en talrijke manfestaties in de Arabische wereld ontketende. 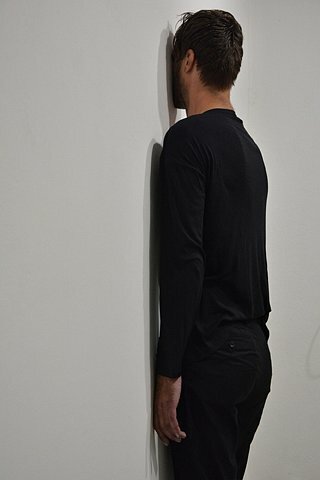 FOR EVERYONE AND NO ONE, VOOR IEDER EN NIEMAND, Live Performance, 3H, Lokaal01 Breda, Holland, 2013. For the closing down of the art instituut Lokaal 01 in Breda . 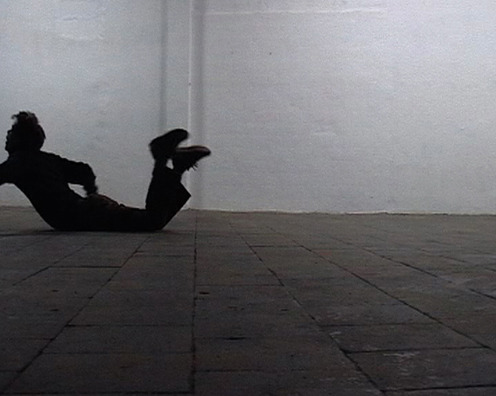 Possible Revolution, Live-performance, Second Room Antwerp, duration 3H00, 2013. Brick stone, wooden bord, physical presence. 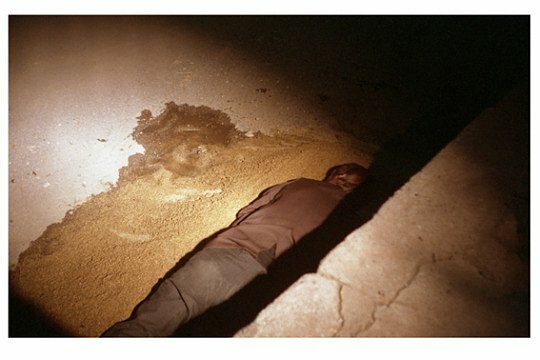 A three hours still movement between possible attacker and possible victim. Relating to current and past possible revolution. 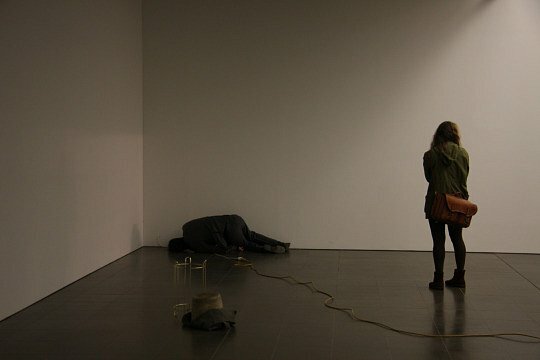 Ludwig Forum Aachen, Live –Performance, Magicgruppe Kulturobjekt, Duration 1h30, Aachen 2012. 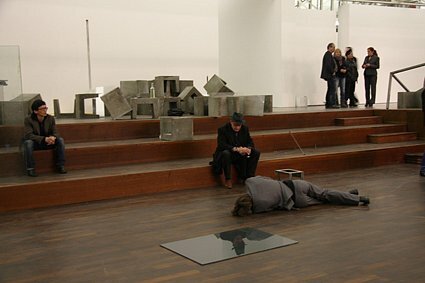 The performance consist out of my physical relation to the installation, sculptures and void of the Magicgruppe Kulturobjekt. 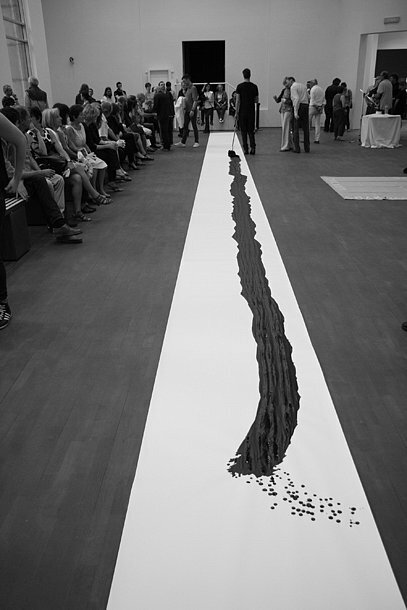 Performance for Magicgruppe Kulturobjekt, Ludwig Forum Aachen 2012. Duration 1h00. 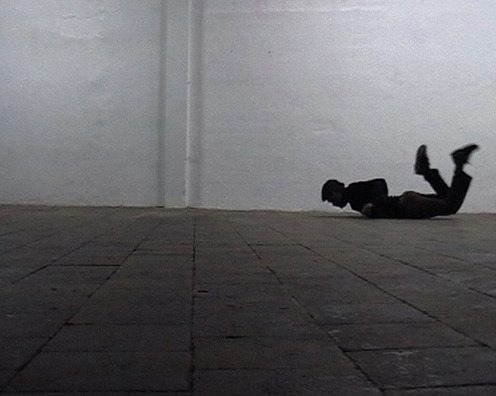 Serpentine Gesture And Other Prophecies, Live Performance, duration 3 hours, Frac Lorrain Metz, 2011. In Collaboration with Monika Grzymala, Polyeder / Polyhedron. 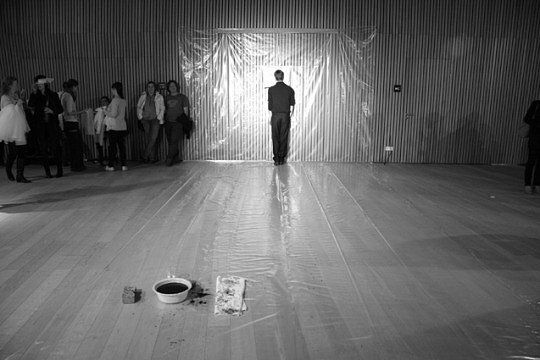 Preparation for leave taking, Live Performance, 6H00, Project deSingel, Antwerp, 2010. Project deSingel From October 2009 till October 2010, visual artist Michiel Alberts worked in the new building of deSingel. 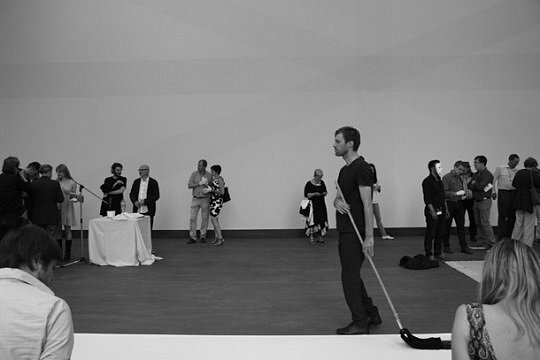 While still under construction, he created performances without audience in the raw and empty spaces of the building. These performances were photographed. On the opening of the building on the 2nd of October 2010, a selection of these photos was presented as posters the public could take home. 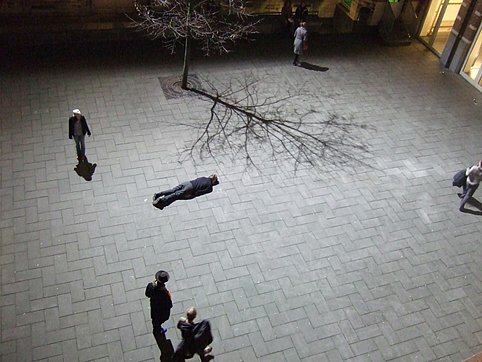 Also a six-hour live performance was carried out outside the building, which marked the end of the project. Michiel Alberts used a six hours dense walk in order to prepare himself for the leave taking on his Project deSingel in order to walk home. 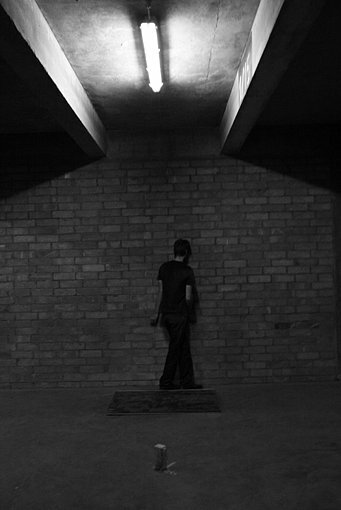 He also referred to a self disappearing layer, a walk leaving behind void. With support of d e t h e a t e r m a k e r en de Vlaamse overheid. Canvas Cobra TV Michiel Alberts from Michiel Alberts on Vimeo. Project deSingel, 2009-2010, Canvas Cobra TV. Through extremely slow and constant rolling movement I defined the courtyard of STUK. 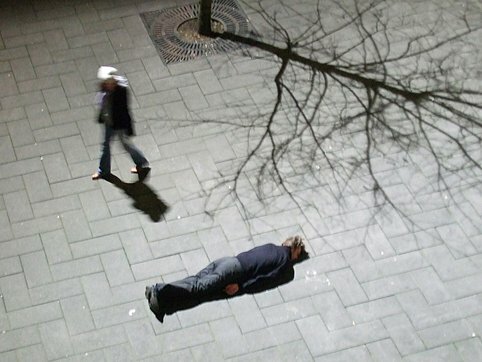 In the course of the 3hour performance the attention shifts from the rolling movement to the courtyard itself. Live Performance, 3hoo, Playground Festival, STUK Leuven 2008. 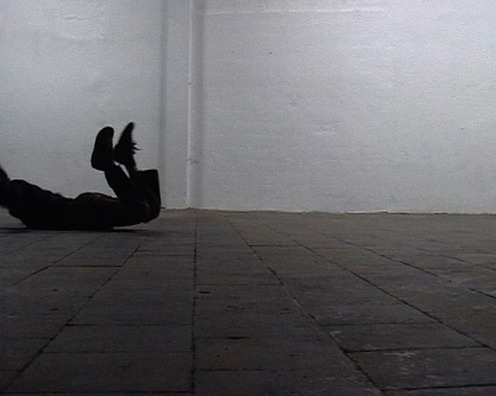 Rolling Playground - Michiel Alberts (2008) from Michiel Alberts on Vimeo. 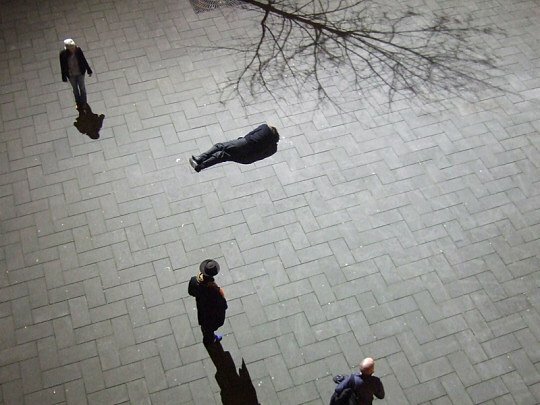 After the live performance Michiel Alberts placed a video installation of three screens on the same courtyard. 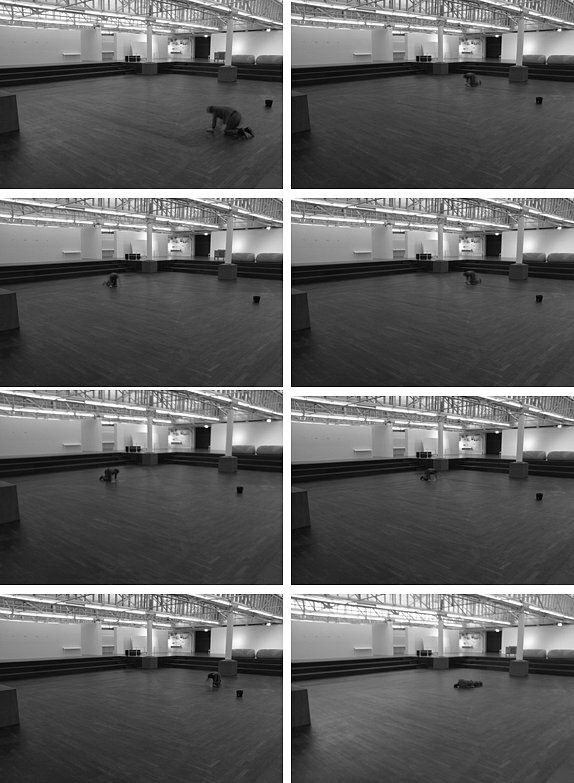 Upon each separate screen a specific angle of the performance was projected in a three hours continuous loop. At the shore of ‘Isla Negra’, Michiel Alberts dug out a rectangle with his bear hands. 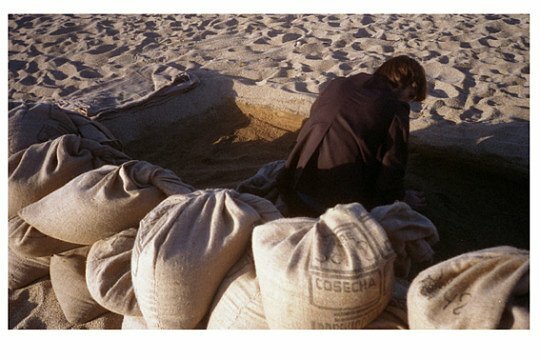 The sand was put into bags and brought to Santiago. On the opening night he reconstructed the rectangle and made a print upon it with his corps. He maintained this layed down position. live performance duration 1 hour, El Manifiesto de Santiago, Matucana, Santiago, Chili, 2007. Curated by Thomas Caron and Philippe Van Cauteren. In a room of the ‘Rendez-vous’ Hotel Berger, a man is waiting. He is sitting on and wandering around the bed. 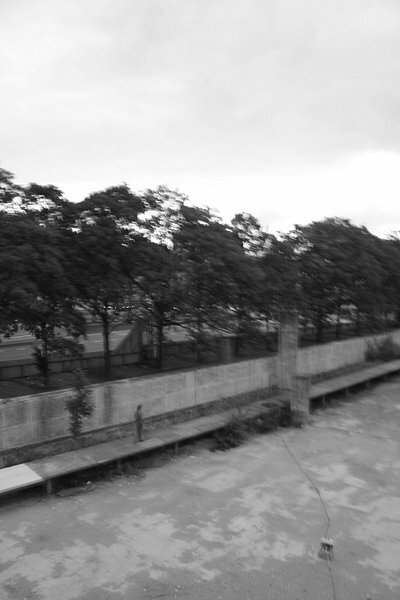 From this hotel, which is stil in use, a live streaming of the performance takes place to the empty hotel ’ Noailles’ of the mobile institute. 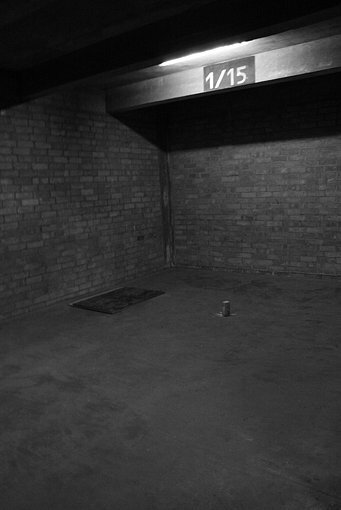 On a wall of an empty room the image is being projected. One chair is in this room. The audience may enter one by one in order to have their own Rendez-vous. 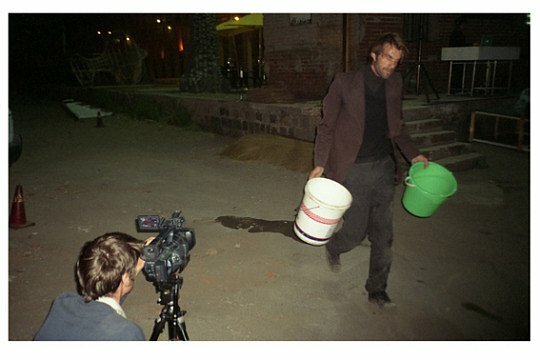 Rendez-Vous - Michiel Alberts (2008) from Michiel Alberts on Vimeo. 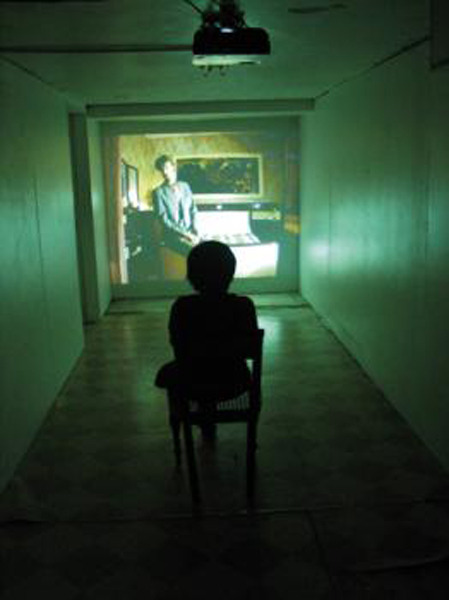 Rendez-vous, StreamVideo, original duration 3 hours, Mobile Institute, Brussels, 2007. 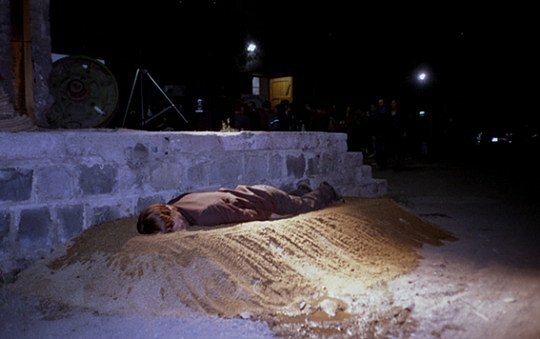 Live Performance in collaboration with Wouter Messchendorp, Lokaal01, Antwerpen, 2006, Croxhapox, Gent, 2007.